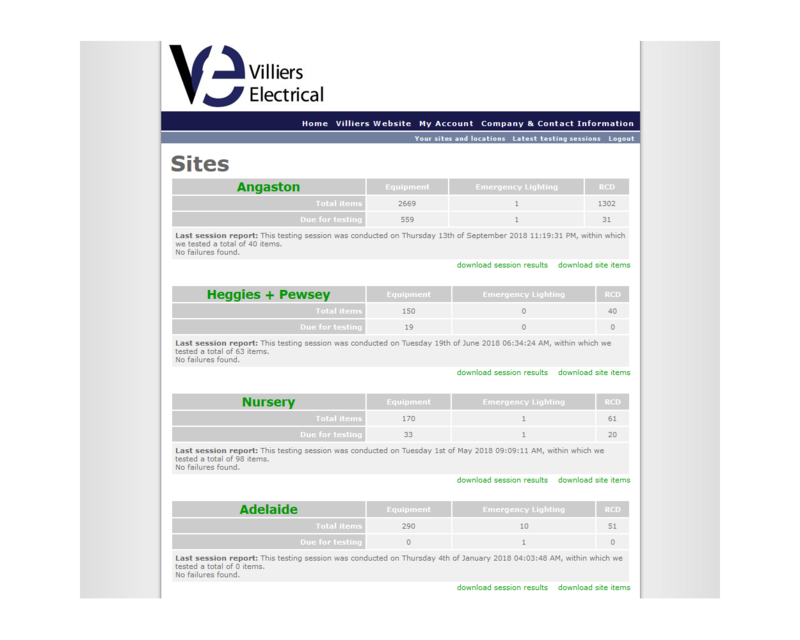 Testing and tagging is one of many services offered by Villiers Electrical Pty Ltd. Whether it be a small portable standard 240V lamp or a big 3 phase 415V motor, we can test and tag it. 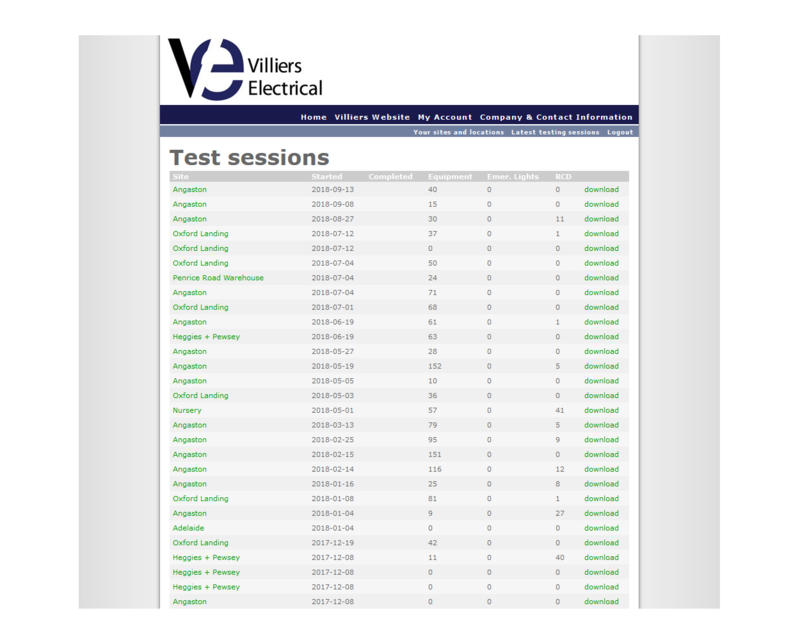 Plus we are able to help you keep track of your appliances testing schedule with our unique purpose built testing and tagging website. In addition to the typical testing and tagging service offered we can provide a consistent and comprehensive account of all tests throughout your business. More on this service is featured below. Our testing and tagging website can store itemised testing relevant data on the portable appliances, RCDs and emergency lighting in and around your business. And as with the testing and tagging, we can also perform tests on RCD’s and emergency lights using the same database. 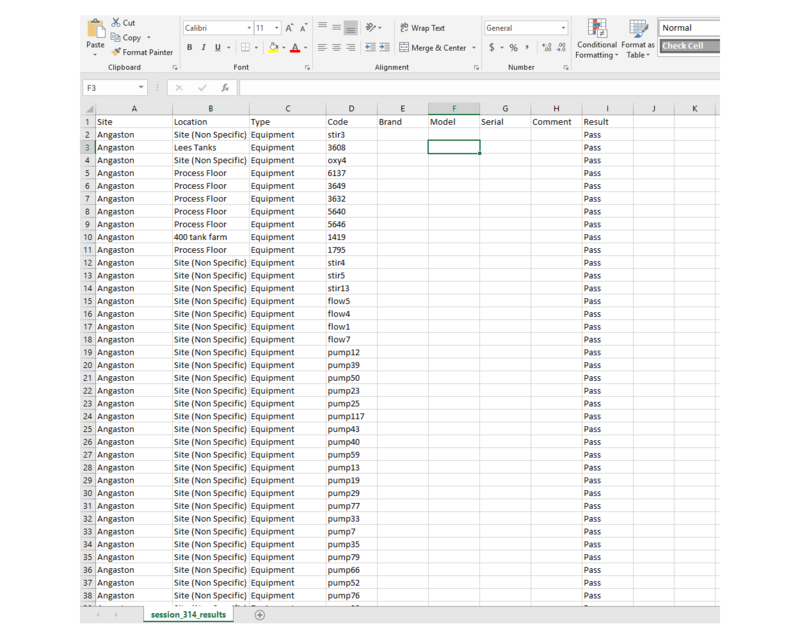 This allows you to look at the one database, without second guessing whether the testing took place.